Let me ask you a hypothetical question. 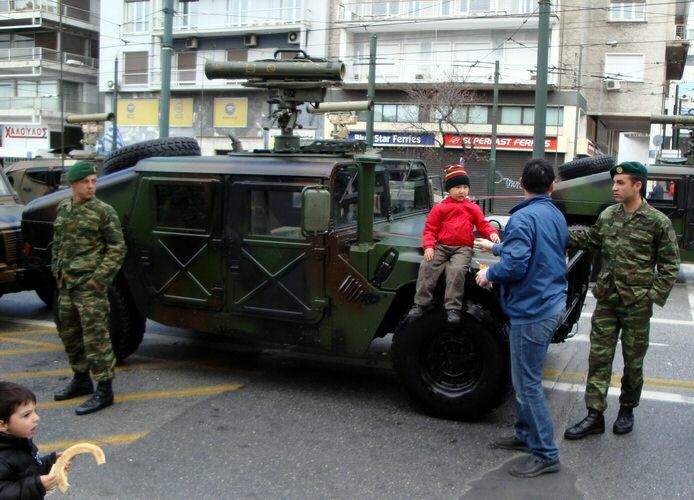 If you were a foreigner visiting another country would you stick your child on a Humvee to take a picture without asking permission? This Chinese guy didn't and the soldiers were not too happy about it. Neither was the child actually and the only person that got a picture was me.